The use of textures has been proven to facilitate learning by creating a multi-sensory setting, so the design includes a subtle range of surfaces that are smooth and rough, translucent and transparent to create a tactile experience that is engaging for students. 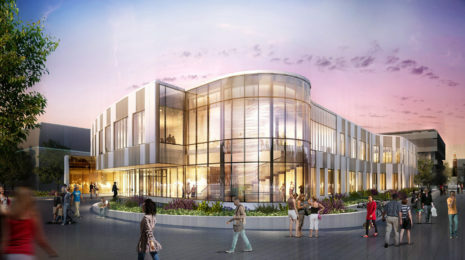 The goal for the PS Math Studio was to create an inspirational learning environment for a range of tutoring from remedial basics to advanced mathematics that paired professors and students together in a space that was fun, engaging, and collaborative. 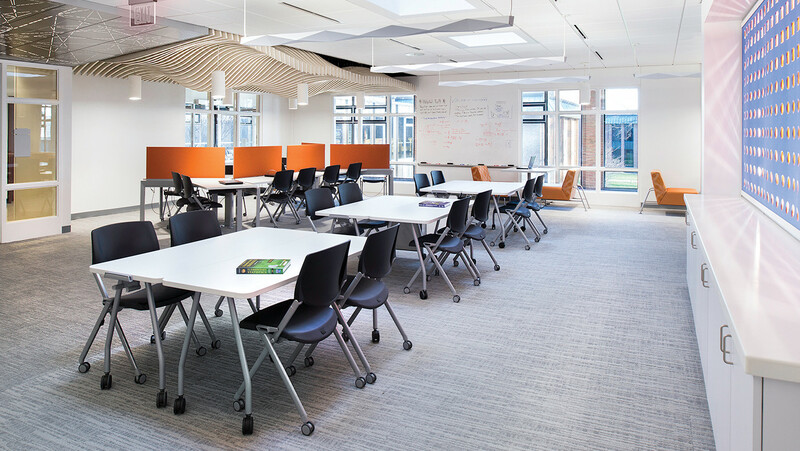 Inserted into the existing physical sciences building with former chemistry labs that were closed off, compartmentalized and lacking natural light, the new math studio needed to be open, bright, and welcoming to anyone who might be intimidated by this fascinating subject. 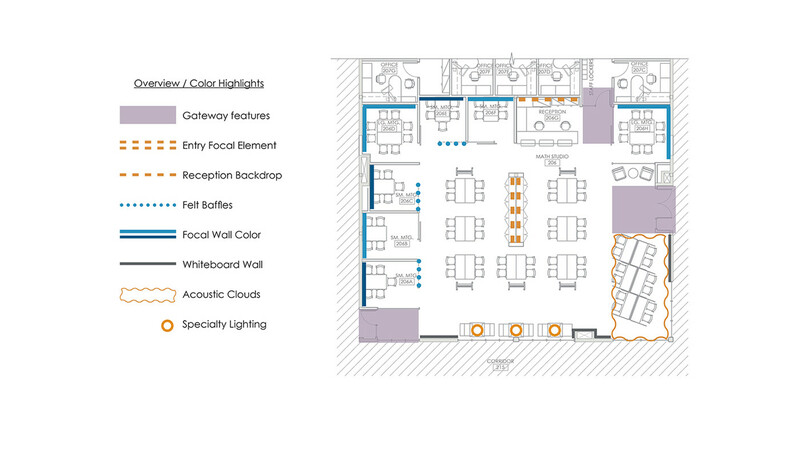 The new space was conceived as a clean white form with layered colors, textures, and lighting to draw students in and to activate their senses. 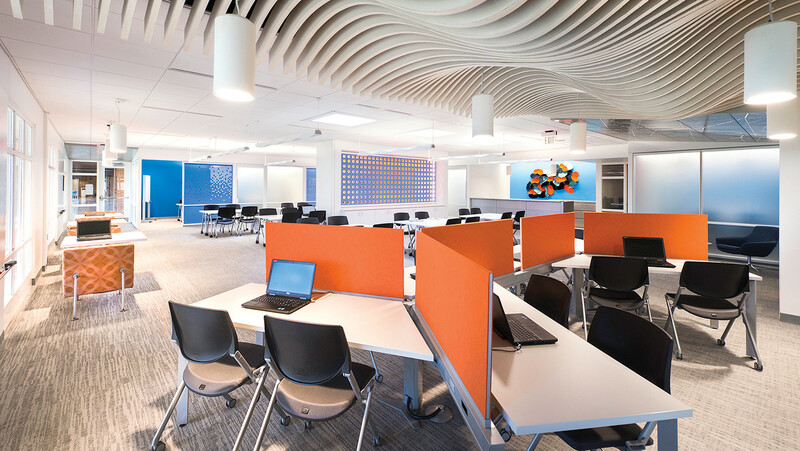 The design employed color theory for learning environments to help students focus their attention, with a chromatic range of blues for variety and complements of orange for vigor. The use of textures has also been proven to facilitate learning by creating a multi-sensory setting, so the design includes a subtle range of surfaces that are smooth and rough, translucent and transparent to create a tactile experience that is engaging for students. 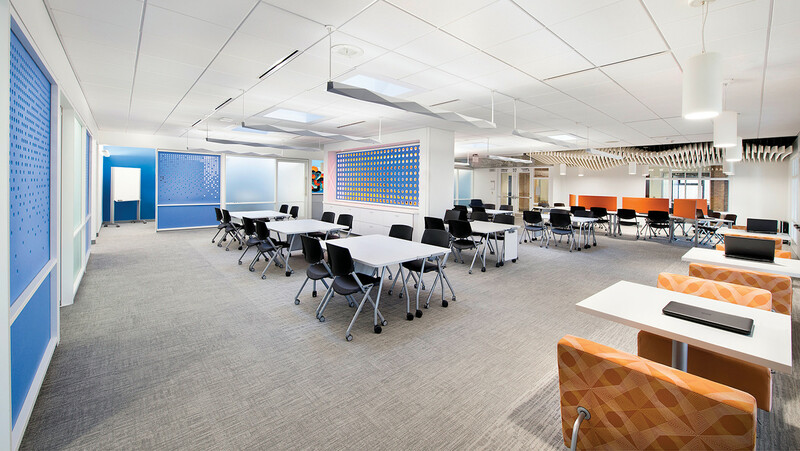 Expansive corridor glazing and skylights were paired with carefully balanced indirect lighting to create a warm and inviting space with a variety of color temperatures and lighting contrasts, which can help with concentration for learning. 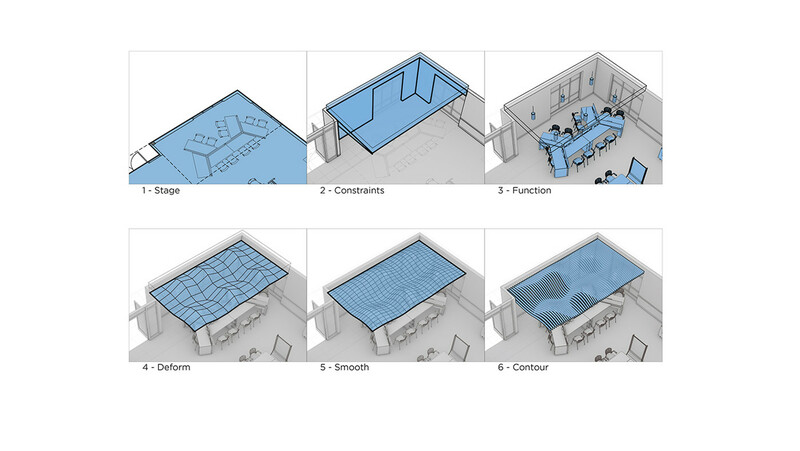 The concept of mathematics spirit helped to drive the design of the studio with the intent to inspire students imagination and enthusiasm for their studies, while also addressing the key concern of the open space, which was acoustic sensitivity for tutoring. 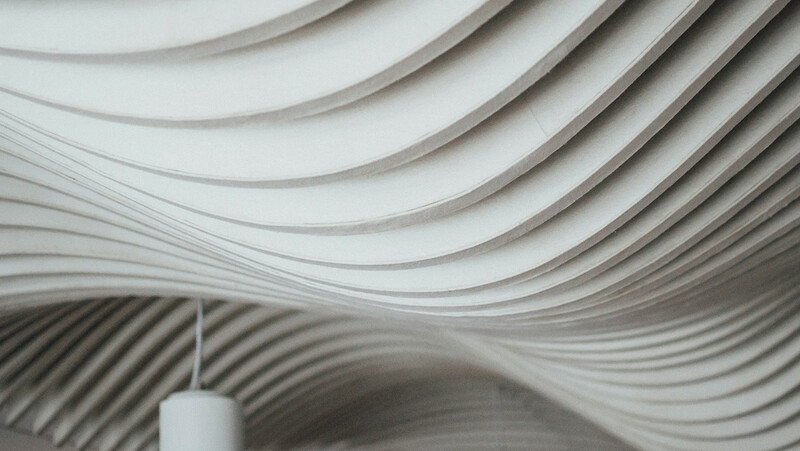 Inspiration was pulled from mathematical strategies such as parametric equations of a sin curve and geometries of polyhedrons in order to create the patterns and forms used in the various acoustic treatments. 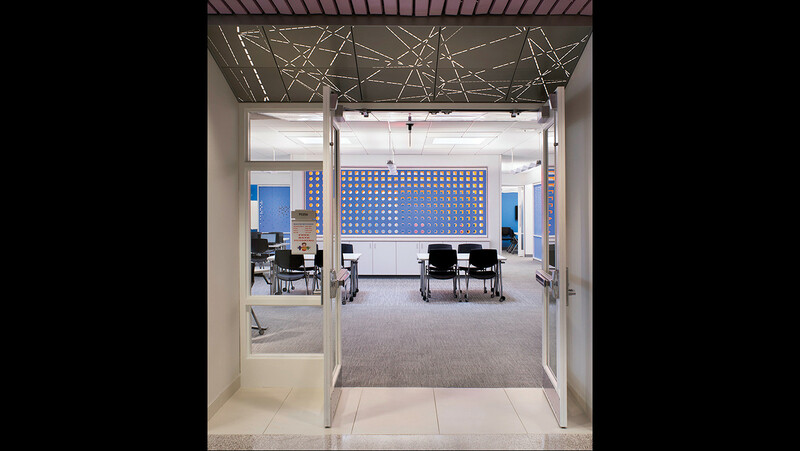 These “mathy” concepts lead to the design of perforated acoustic metal ceilings at the entries, felt wall panels in the private study rooms, reconfigurable acoustic art behind the reception, and a sound cloud of felt wrapped CNC baffles over the study carols. Transformed by the very subject studied within it, PS Math Studio excites students to discover, study and experiment with mathematics in an engaging vibrant environment.